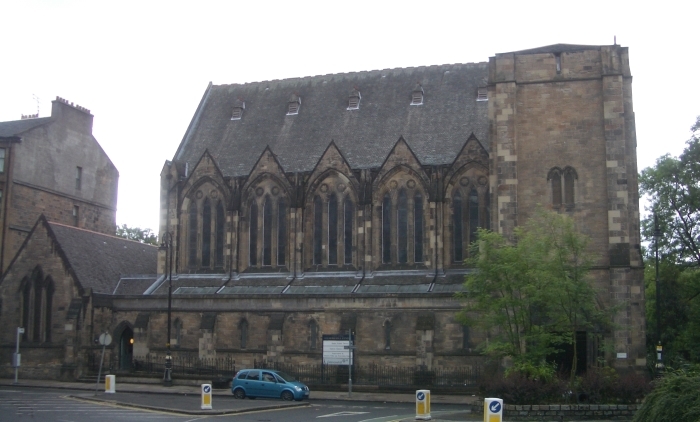 Opened as the Anderson Free Church in 1877, and used by Glasgow University as exam hall from 1950 to 1996. Refurbished in 1997 as home to Glasgow University Film, TV and Theatre Studies Department, with offices, theatre, cinema, cafe and rehearsal space. 138 seats in Andrew Stewart cinema, 220 in the theatre. 16/35 mm film projection facilities with Dolby surround sound, as well as video and DVD available. Pictures of the interior available here.